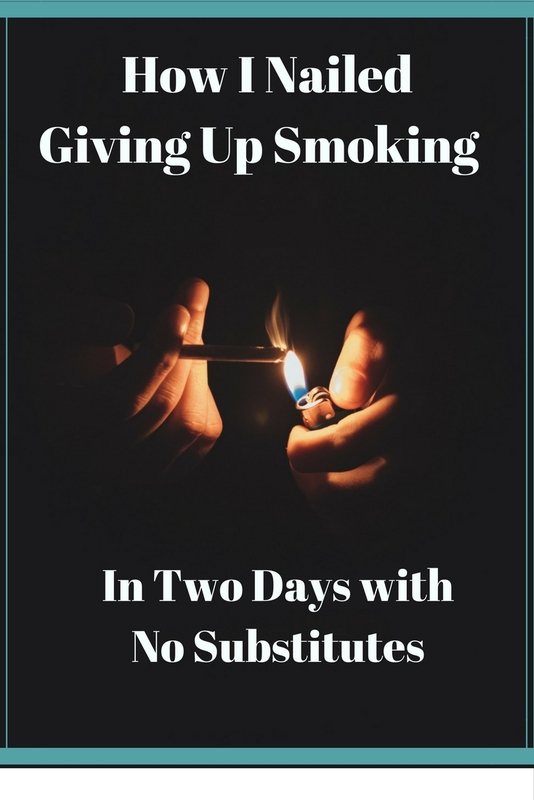 I am proud to say that my husband has finally managed to give up smoking and the amazing part is, there was virtually no trauma involved! I've always known him as a smoker and I've always accepted it as part of life. As a non-smoker, I've never felt able to judge something I haven't experienced, so I never questioned it. I remember when he first admitted he was a smoker, on our first date. He was clearly embarrassed about it, but it never really bothered me. There have been massive advantages to him giving up smoking though, not least to our bank balance and you won't believe how he did it. This guest post, in his own words, explains it all. Raleigh Choppers, home made go-carts, recording the Top 40, playing in the woods. I really did have a 70's childhood. Where it seemed everyone's parents had a job and everyone's parents smoked 20 Woodbines a day. Looking back that was the start of my downfall. Most people have asked me how old I was when I started smoking and I usually say 15 or 16 because I have always been ashamed to admit the truth, it was nearer 12. For me, like many others, it was all too easy then. There was no I.D. and we had a vending machine outside the local paper shop where three 10p's would get you 10 No6. We soon realised though, that it was all about how old you acted. I used to walk in the pub and put down my cigarettes and a set of car keys, which i had managed to accumulate and enjoy a nice pint of lager. This was when I was 15! Don't get me wrong, I wasn't a complete rehab case, we were just getting away with what we could. My first memory of smoking was when a friend of mine offered me a cigarette, presumably that he had pinched from his parents. I said 'No, I don't smoke'. 'Go on', he said, 'just have one!' I did have one and I have just finally managed to give up after 38 long, miserable, hard years. Most smokers wish they had never started. I am no different. This is an extremely rare photo of me with a cigarette, I usually have them edited out! I have always been proud to say I have never tried drugs, not even one puff of a 'funny fag' as I put it. There are two reasons I am pleased about this, firstly, I wouldn't want my children to follow in my footsteps and secondly, it always worried me to death that if I tried it once, I would end up just as hooked as I did on cigarettes. Getting back to smoking, what can I say, after 38 years I've seen it all and I've done it all and spent a fortune, for what? For absolutely nothing. I have never met a smoker yet that actually likes the fact they smoke! You get treated like a leper, it costs a blooming fortune, and in many cases it affects what a family can do over a year, because you spend a year burning £10 notes. That makes you feel more stressed, so you feel justified in lighting up another cigarette. Also, do you really want to be the influence that starts your children smoking? I doubt it! Oh believe me, I have been there. 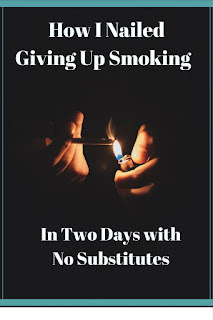 I have tried and failed many times to give up smoking, I think what I lacked was bravery, to be able to give up and not have an emergency 10 on me just in case, or an emergency fiver in my pocket. Trust me, the minute you think like that, you know in your heart of hearts, you will give in. You literally have to arrive at the day when you just decide enough is enough, nobody can do that for you. 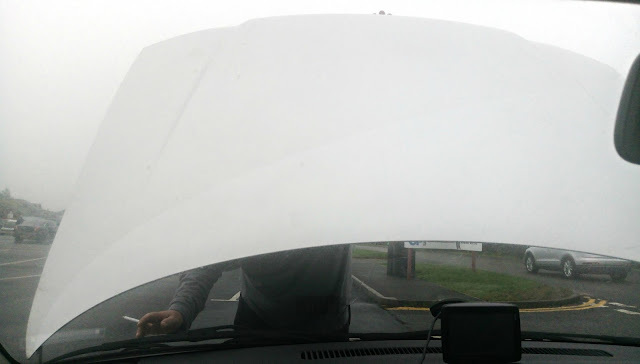 My day came when I said to my wife I would do, or try, anything to give up. So she suggested a book called 'Allen Carr's Easy Way to Give Up Smoking'. I said to her; 'A book?! I've got a 38 year chemical addiction' (well, that's the way I looked at it), 'and you want me to read a book?!' I thought it would be a waste of time, but agreed I would try it. As a seasoned smoker I never honestly gave this book a prayer of working, but I made my mind up that when it got here I would read every single word, then give it back to her and enjoy another smoke. I did read everything, the foreword, the barcode, everything. Over the years I have tried it all. Patches, gum, books and, more recently, vaping. Nothing has ever taken me past about 24 hours, if I am honest. Looking back, this was because mentally I wasn't ready to quit, but this book changes all of that. I don't want to give anything away, but after two days of reading it, I threw my cigarettes in the dustbin and haven't touched one since and I'm not going to either. The author was a heavy smoker for years and devised the book in a language that smokers would understand. Without giving anything away, it is a book of home truths and a book of choices. It just takes you by the hand and walks you through all the barriers that people face when trying to quit and, believe me, he really does know all the obstacles. I can honestly say, nothing has had a more profound effect on me, on any subject, in my adult life than this. At 50 years of age, having smoked since before I became a teenager, my health was only heading one way. I've been given a new lease of life, a chance to spend more years with my children, my whole mentality has changed, this really has lifted my entire mood. I will never be able to explain to anyone the effect this book has had on me. I have never known a life without smoking and all the restrictions that go with it. From the dread of long haul flights, to even the inconvenience of going to places like the cinema. Now when I look at somebody smoking, I'm quite certain they would rather be smoke-free like me, now. Once you reach that point in life, you just want to encourage somebody else to give up. It would make my day if just one person went on to read the book and then found the strength to give up themselves. 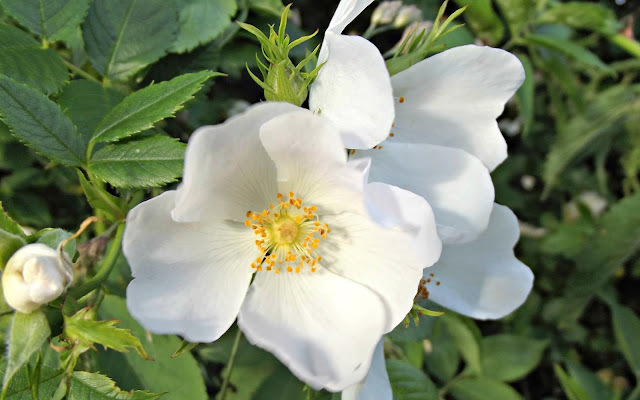 In the meantime, I am going to enjoy smelling the flowers in my garden. That's another gift from nature I can enjoy, now I have my sense of smell back. So great to read abut your success - and in such a short space of time too. Well done. You will save a ton of money now and smell so fresh. Congratulations! It's always fantastic to nail a bad habit. I heard great things about Carr although it didn't stick with everyone so glad it did for you. Well done to your husband! Such an amazing achievement! You can start saving all those extra pennies and treat yourselves to a lovely holiday now! Wow that is great after smoking for so long. So many benefits to quitting health wise but think of the savings financially. Fab. This is a great achievement. 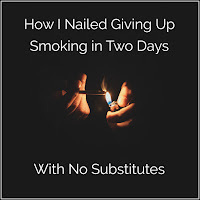 Well done for quitting. I just don't understand the appeal of smoking. I know that it is addictive but what makes a person start in the first place?! 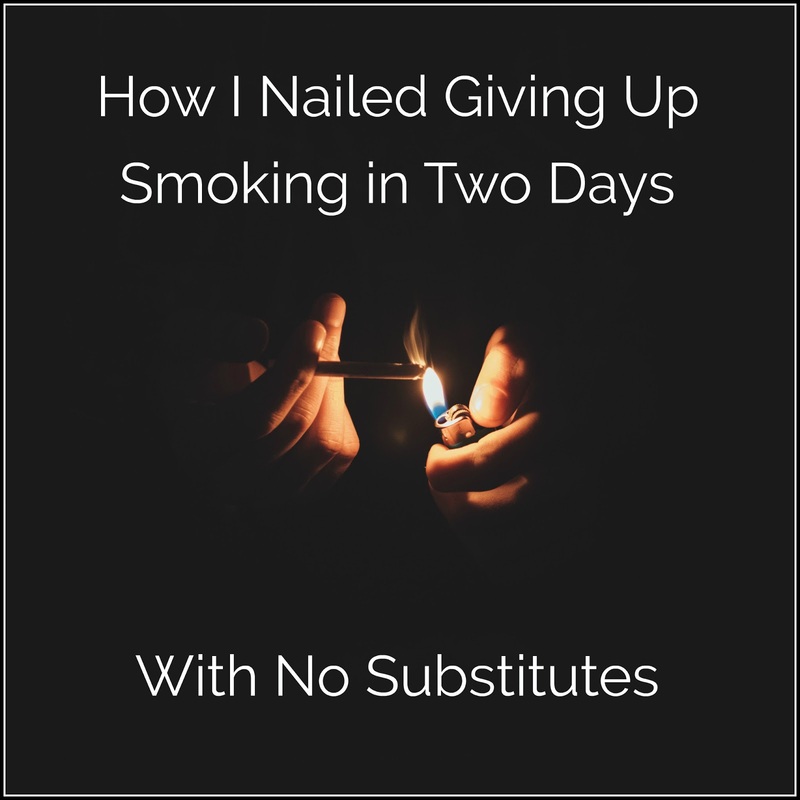 My partner has given up and now weaned himself off the nicotine replacements as well so I am incredibly proud of him. Well done! I'm currently battling to give up! To be honest I find it hard as I do enjoy it, the little break away from the world but I just stand the smell and the cost! Such a waste of money and so smelly, so glad you've stopped. Congratulations. Well done! My folks gave up after uni andhave never looked back! You should be very proud!